Gigabyte, the world’s leading premium gaming hardware manufacturer, has officially unleashed their latest GeForce GTX 900 series flagship graphics cards, the Gigabyte GeForce GTX 980 G1 Gaming (GV-N980G1 GAMING-4GD) and Gigabyte GeForce GTX 970 G1 Gaming (GV-N970G1 GAMING-4GD). These new generation G1 Gaming Series are based on the second generation Maxwell GPUs featuring exclusive Flex Display and Super Overclocking capabilities built specially for gaming enthusiasts. 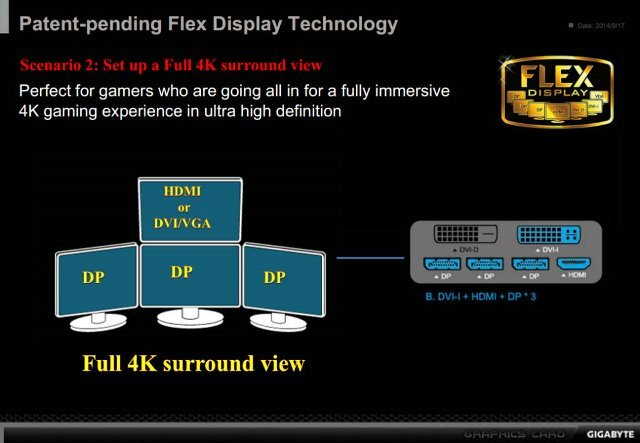 Check out the rest of the Gigabyte GTX 980 and GTX 970 G1 Gaming features below. UPDATE: Added price and where to buy below. The Gigabyte GeForce GTX 980 and GTX 970 G1 Gaming graphics cards are crafted for perfection in pursuit of the ultimate graphics experience for gaming enthusiasts. Through GPU Gauntlet Sorting, the graphics cards are forged with only the top-notch GPU cores to deliver the maximum processing power for going Super Overclock. 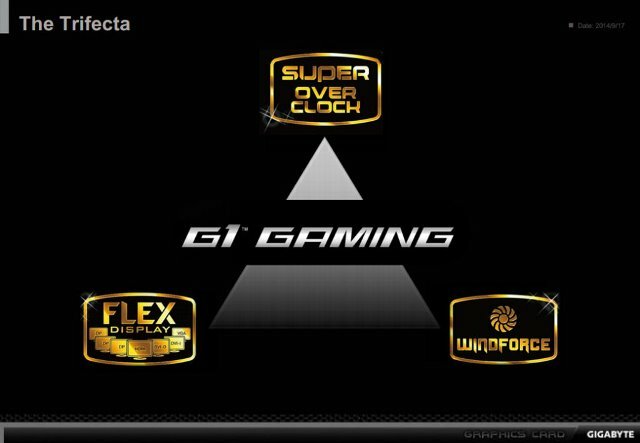 Further armed with the acclaimed WINDFORCE cooling system and innovative Flex Display technology(patent-pending), the G1 Gaming graphics cards ensure incredibly fast, cool and quiet performance, whilst providing gamers with greater flexibility in output connectivity options for multi-display gaming. 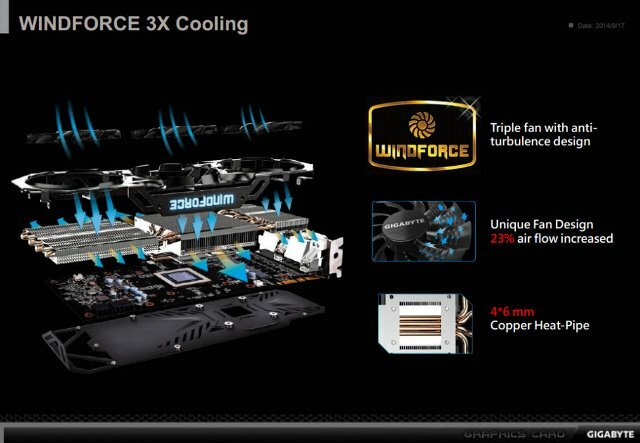 Both the Gigabyte GeForce GTX 980 and GTX 970 G1 Gaming graphics cards are equipped with WINDFORCE 3X cooling system. With the unique blade fan design, the air flow is split through and guided smoothly through the fan by special 3D stripe curve design. It effectively enhances air flow by 23% while reducing air turbulence. The cooling capacity of the GV-N980G1 GAMING-4GD is reinforced with WINDFORCE 600W cooling system by only using 2 slot heights. Featuring GIGABYTE patented Triangle Cool technology and special fin architecture, the WINDFORCE 600W cooling system delivers superior cooling performance than traditional fin module up to 35% for an unprecedented cool and quiet gaming experience. With GPU Gauntlet™ Sorting, GIGABYTE G1 Gaming Series graphics cards provide the best power efficiency and lowest power consumption. 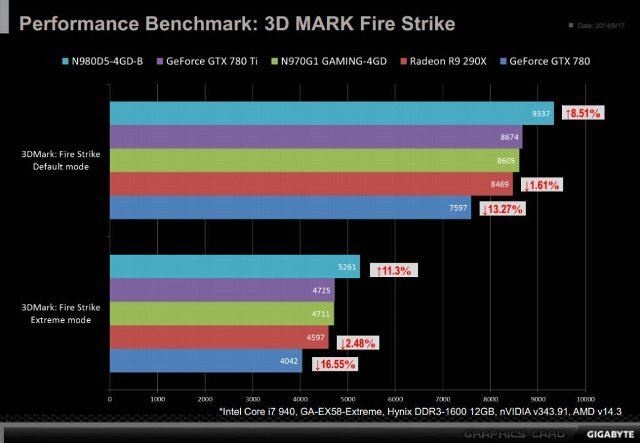 Only the strongest processors survived the stringent sorting can be qualified for G1 Gaming graphics cards for fully meeting both gaming enthusiasts’ and extreme overclockers’ expectations with the super overclocking capability. Both the Gigabyte GeForce GTX 980 G1 Gaming and GTX 970 G1 Gaming are now available. 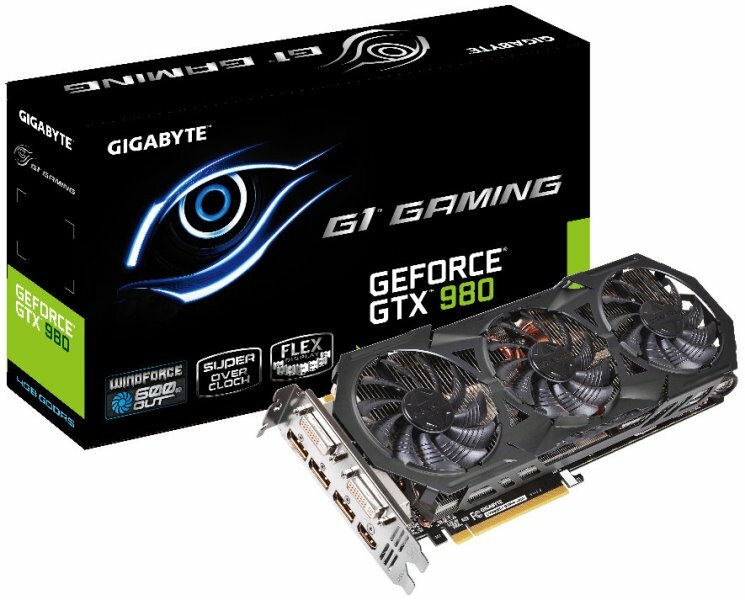 The GTX 980 G1 Gaming currently has a retail price of $629.99 (see best price here). 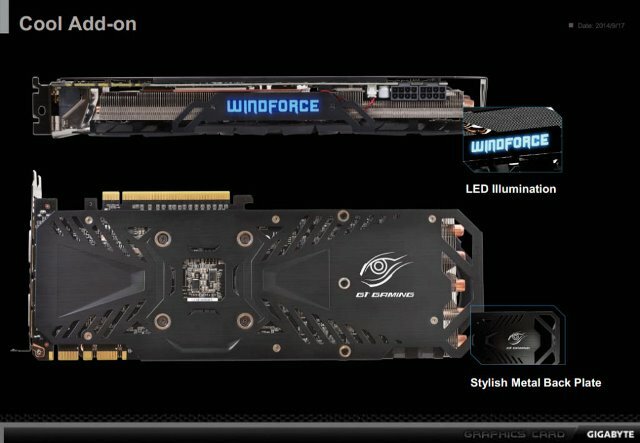 Gigabyte has also the GTX 980 Windforce variant that comes with a lower clock speed which currently retails for only $579.99 (see best price here). Meanwhile the Gigabyte GTX 970 comes in three different variants with a much affordable price. The GTX 970 G1 Gaming retails for $379.99 here, the GTX 970 Windforce is only $369.99 here, and the Gigabyte GTX 970 Mini-ITX is also at $379.99 here.